We had various romantically themed goodies for sale such as heart shaped chocolates, love muffins and other delicious treats! 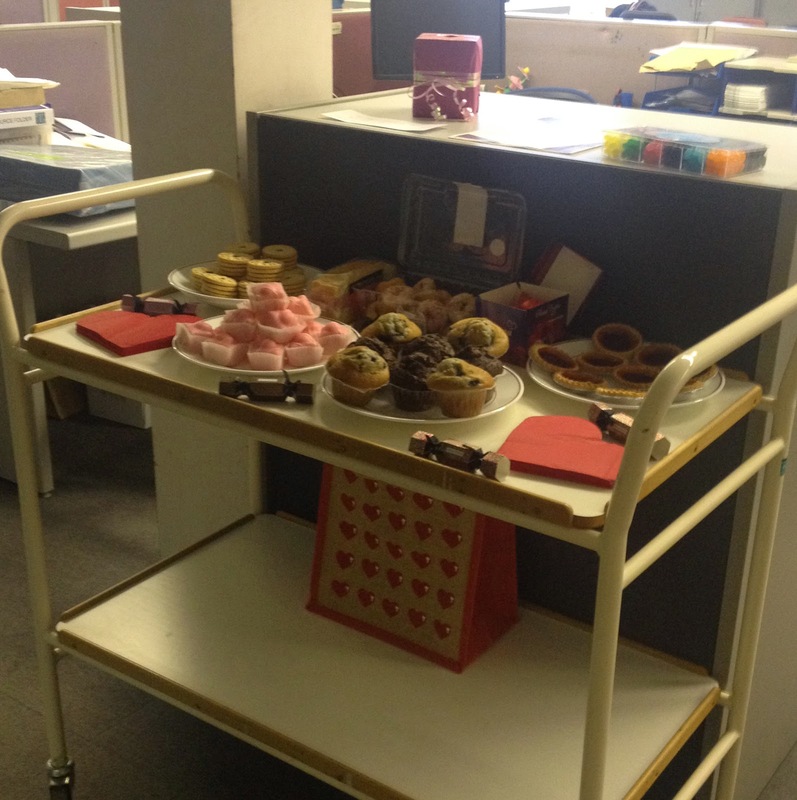 Valentines goodies – Delicious treats were enjoyed by all! 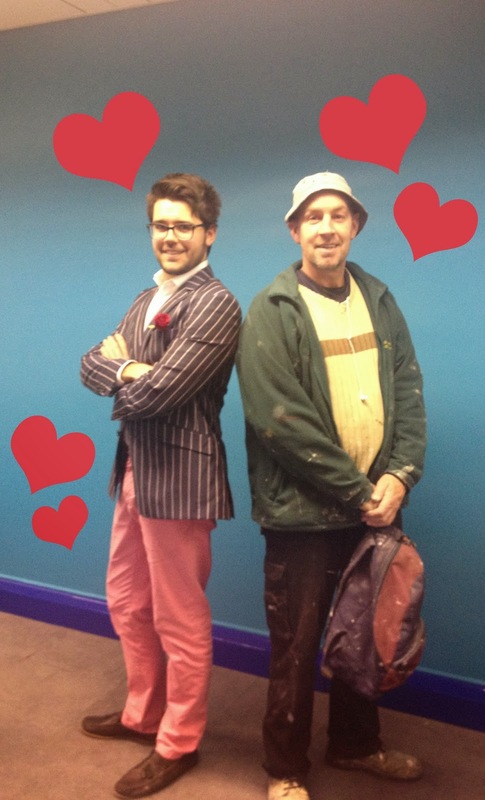 Even our decorator got in on the valentines action!!! Sam Thompson our Product Development Manager is no shrinking violet!! How many cards did you get Sam....??!!! Staff also entered our Valentines quiz which was fun for all. The winner of the Quiz with a fantastic 17 out of 20 possible points was Sarah Gent in Customer services who won a box of tasty chocolates! 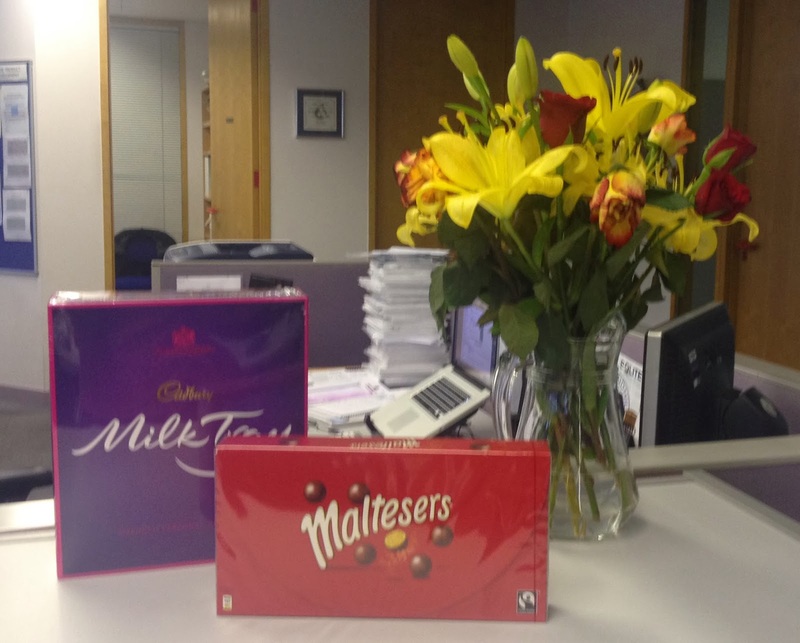 Valentine gifts - Our Sidhil Gentlemen know how to treat the ladies!! 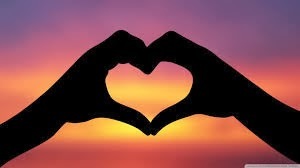 Thank you to everyone that took part in our loved up day and helped raise an amazing £84.20!!!! !